Previously I have written about how to save money on groceries. I admit that my approach to saving on groceries was a little simplified back then. My shopping habits also changed the longer I lived with my fiance. In all honesty it does seem that our grocery spending has got a little out of control lately. While a big part of that was due to moving into our own condo where we have considerably more storage space, I do feel like we could be doing a better job in this area. So this post will hopefully get us refocused. This is probably the strategy I’ve improved the most in over the years. In the past I would go into a grocery store with no plan at all and buy any food I like. Sometimes I’d even be shopping while hungry which would make the problem even worse. Somehow I would always find more snack food to buy that I just didn’t need. Eventually I got into the mindset that wasting food was truly throwing away money. Yeah that’s pretty obvious but in the past I would just shrug it off as something unavoidable. I was just lying to myself though. Food doesn’t have to be wasted. Just ask my fiance. She cringes when I finish up what’s left on her plate…as if stuffing myself really makes any difference. The key is to be more focused with your shopping. Know ahead of time what you will be buying and how you will use it all. If you just need a couple eggs, a cup of milk, a slice of cheese, etc, think of what you could use the rest for. Recently I threw away a mostly full carton of eggs. This could’ve been avoided via planning or minimized by getting a half carton instead. Even though it was only a few bucks, it did hurt a bit. The other part of the battle is properly storing food. A couple months go I learned that onions and potatoes should be stored separately. Apparently the onions would make the potatoes go bad quicker. I also started storing bread in the fridge. Some people say it dries out the bread, but I don’t notice much differene and now I never throw out bread. Knowing things like this can really help. I touched on this a little bit above. Meal planning and preventing food waste definitely go hand in hand. If you’re not planning your meals, you’re likely wasting food. This is actually something I was against when I wrote my previous post about spending less on groceries. I was insistent that planning would lead to buying things that were overpriced that week. To some degree that may be true, but you make up for that with reduced food waste and less trips to the grocery store. The overlooked benefit of meal planning is that it can help you concentrate on less expensive meals. In the store you might walk by the steak or shellfish and get tempted to splurge. When you plan ahead and time and create a list, you get the chance to think about those meals. Seeing the week’s meals laid out you get a better idea if you can fit in that more expensive meal. Maybe it would convince you to plan some cheaper meals to balance it out. If you have a flyer for your favorite grocery store, it would be a good idea to have it handy while doing your planning. Then your meals can revolve around which specific items are on special that week. The big downside of meal planning that I mentioned can be combatted, at least with non-perishable items or ones that can be frozen. Simply take the time to browse the aisles for meals that you frequently cook. If a key ingredient is on sale that week, why not buy it even if you’re not on your meal list that week. You can always cook that meal the following week. If the sale is especially good and you have the storage space, it would probably make sense to buy even more. For people with extra time on their hands, you could milk even more savings from products on sales by hitting up more than one store. In my case I feel that my time is better spent working on my blog. So I am willing to just shop at one store knowing that some items may be cheaper somewhere else that week. Not everyone is in that situation though. You know how valuable your free time is. The store you choose to do your groceries at plays a big role in the bottom line too. I don’t know how it is in other cities, but here in Vancouver there is one store that is pretty much always the cheapest. It’s just a matter if you live close enough to that store and can put up with the crowds. When you’re shopping for groceries every week, the distance you have to drive should be factored in as the cost of the gas can outweigh savings. For us, the closer option is often $1 more for many items which makes the extra drive worthwhile. At our old condo we also had the option to go to a small produce market that had awesome deals. They had all kinds of produce for $1 per bag. We would literally come out of there will a full shopping bag full of groceries for about $10. Unfortunately there isn’t a similar market close to us anymore. When we are in the neighborhood we try to stop by the old produce market. If you’re not sure where to shop for the best deals, ask around to see where people who know shop. Or you can always shop around to find the store with the lowest pricing. The great thing about the cheapest grocery store here is that their store brand is pretty solid. There are some things that I would rather buy a brand name, but then there are countless others where the difference is barely noticeable. Again this is something you should probably ask around about. I hate when I try the store brand only to find that it just doesn’t cut it. If it’s a single meal it’s not that big a deal, but it’s frustrating if it’s condiments or some other item you’d be using regularly. When you do find the store brands that you do like, it can be significant savings each week. That way you’re not paying for fancy packaging and marketing. In some cases that product might even be manufactured by the big brands. All of the above tips won’t matter much if you choose to eat expensive meals. Just because you like lobster and tenderloin, it doesn’t mean that you need to eat that all the time. Think more practical. So many cheap meals can be quite tasty and nutritious. I rarely eat any meals out of a can and usually don’t eat processed foods either. True those meals are incredibly cheap, but they aren’t as healthy and frankly I don’t like the taste as much. You do need to find a good balance between price and quality. Once in a while I will eat something like macaroni and cheese, but I like to take it up a notch by adding tuna and corn. If you do like expensive meals, don’t totally deprive yourself. Still have that kind of food occasionally, but don’t convince yourself that you need it every single week. Try to make it more of a reward to have once a month or on special days. This strategy tends to get a bad rap as it conjures up images of excessive hoarders. That is on the extreme level though. Ironically going to that level will often backfire when all of that food expires. Plus if you stock up to extreme levels it has got to start affecting your quality of life as you run out of convenient storage. There can be a happy medium though. Instead of stocking up for the next decade, aim for several months at the most, unless you really do have a ton of storage space. Keep in mind when products will expire, especially since some products are much cheaper when the expiry date is getting closer. The item that I tend to stock up on frequently is cereal. Because I eat that nearly every morning, it’s something that I know I will use up in a reasonable amount of time. I am getting close to getting carried away as my fiance was hassling me about noticing cereal in other cupboards. Really though I’ll use it all up before long. It was all bought for lower prices than normal. So if any of my favorite cereals aren’t at low prices, I just don’t buy cereal that week. That can be applied to any other food too. I saved this one for last simply because it’s not as big in Canada. I don’t understand why it’s different in the US, but the coupon scene down there is huge. If they had coupons up here for free products I’d be all over it too. I doubt I’d ever get to the level of having a coupon scrapbook, but I would take advantage. As much as I try to make an effort with coupons it just doesn’t seem to work out much. For a while there were decent coupons in my cereal, but it must’ve been too popular. The next time around you had to buy 2 boxes to get each coupon. Then you’d have to fill out a lengthy for and mail the forms in to get your coupons. Basically it became just a marketing gimmick and not something that they actually wanted people redeeming. With the way coupons are here, it comes down to the value of your time. If they’re going to make me jump through too many hoops it’s just not worth it to me. Just like shopping around for deals, it’s something you should only be doing if you wouldn’t be making money with that time otherwise. What about you? 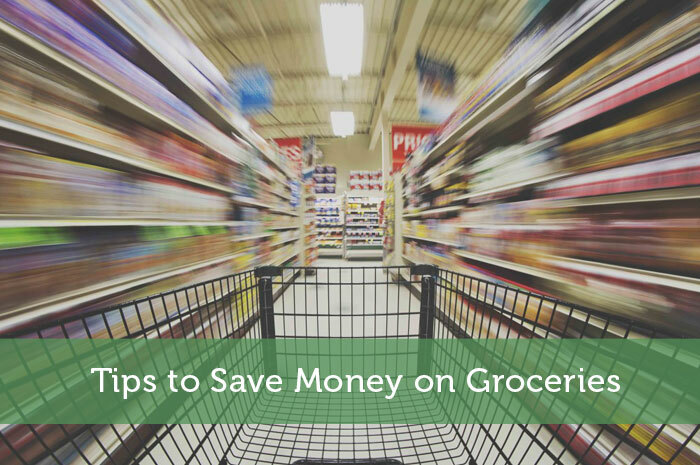 What strategies do you focus on to save money with grocery shopping? I’ve heard that coupons are not a big thing in Canada. A major loss for you guys. My husband & I are both naturally frugal. We almost never throw any food away. Lots of things can be successfully frozen for at least 6 months (not milk in my opinion tho). So I shop the sales, match it with a coupon, and stock up. Whole cut up chickens at 99c pound for instance – I will buy 6 or 7. One chicken might make chicken pot pie AND chicken stock for soup. I think it’s criminal how much food is wasted, given how many people in this world are always hungry. That’s one thing we should get better at….taking advantage of freezing things. Sometimes there are things that I just know we won’t finish in time, but I never think of freezing it. Buying whole chickens to cut up is a smart idea too. I do free quite a bit. I like to buy large packs of chicken breast and split it up into different meals. I know I could freeze other things too I’m sure. It’s amazing how we never think of something so simple! I do at least buy bulk meat and freeze that, but it’s freezing other stuff that I never really do. We are pretty flexible in our meal planning, such that we take advantage of whatever meat is on sale. Same goes for fruits and vegetables. It keeps things interesting because variety is introduced based on what’s cheap that week! Sure helps keep the grocery costs down! That was my focus in the past but then we wouldn’t end up using everything up. You can get some pretty cheap meals if you do just buy what’s on sale that week. I definitely meal plan and grocery shop from a list, which helps. I find my grocery costs skyrocket when I try to fly by the seat of my pants. I also am a big fan of Costco. I have a small chest freezer and I buy things like chicken breast, fish (tilapia and salmon mostly), shrimp, and whole pork loins & beef loins (which I then cut into steaks/chops/roasts). I generally buy meat once every 3 months this way. It’s a big initial whack of money, but it does help keep the overall costs down – especially since I feed 2 avowed omnivores who seem to think that a meal isn’t a meal if it doesn’t include meat. Thanks for the reminder about Costco. We had been considering getting a membership, but never got around to going there to see if it would be worthwhile with what we buy. It would be nice to have an extra freezer to be able to really stock up on things like meat. Good tip. I had to convince my fiance to avoid all the pre-cut produce and meat. As convenient as it is, the mark up just isn’t worth it. That’s a great tip that I haven’t seen written out before. It’s obvious if you stand back and think about it, but we buy pre-cut stuff all the time. Something to think about. Thanks! While precut stuff is more expensive, I could see situations where it is worth buying that extra free time. Meal planning is probably the single best thing that has helped me. I lay out all of our meals on the weekend, taking into account activities we have coming up that week. I then plan our meals around those activities. On the nights I have more time, I do dinners that require more preparation. On nights I have little time, we have something quick…and usually cheap. All this planning keeps me from going out to eat, especially when I’m tired and don’t want to cook. I know there is something at home all ready to go. I like the tip about considering your week’s activities. I know sometimes we get busy but just don’t have a quick, easy meal to throw together. It sure gets tempting to eat out on nights like that. Mrs Warrior and I do best when we plan out 2-3 days of meals. That ay we have something set to buy for. That would work well, but personally I like only going to the grocery store once a week. Going more than once per week can waste a little too much time. I think shopping sales is a great way to save money. Often times grocery stores have really cheap prices on some items to lure customers in to buy other things…I also buy store brands for items where I don’t find much difference, which is most items. Exactly…those deals are items at deep discounts just so they can advertise them and get more people into the store. They know that most shoppers will balance it out by buying a bunch of items that aren’t on sale. We are actually the opposite. We refuse to stock up on food. We buy the absolute minimum of what we need. We shop every other day and we keep our meals simple (though not processed). We also have meatless days. Eating vegetarian meals has saved us a ton of money, especially since we can use the leftover produce again while we tend to have more food waste with meat. I don’t think I could do that as I value spare time too much, especially with all the time I put into my online work. I did do that in the past though. Then you really can get what you’re craving that day. Lately I’ve been trying more store brands as there’s a few that haven’t disappointed. I actually get really happy when I see a store brand duplicate of something, as not everything is always available. I do shop at multiple stores, but I am lucky that they are all within 2 miles of my apartment. I only buy things that are on sale and I always have a rough idea of meals in mind. Unfortunately, I don’t have much storage space so I can’t stock up, but I’d love to do that in the future. Lack of storage space is bound to hold you back a bit. We dealt with that at our last apartment and it was pretty inconvenient. As for store brands, you do have to find the ones you like as some are quite good and others are much more noticeable that it’s cheaper. Meal planning is key for our family. Mrs. Enwealthen is incredible at planning our meals for the week. She shops on Saturday, we cook the main dishes Sunday, and then during the week we steam veggies and heat up main dishes as needed for lunches and dinners. Great, healthy food, with little prep time during the busy busy week. I’m still working on her on the time vs money tradeoff on going to multiple stores. IMO, they’d have to be giving away the food at the second store to make it worth my time to grocery shop at multiple stores in a day. I’m the same way about going to a 2nd store. Just not worth the hassle. If you’re cooking all the main dishes once in a week, would it really stay good in the fridge all week? I could see that making the week a lot less stressful without all the cooking time required everyday. Every week when the sales flyers come in the mail I peruse and try to plan my next week’s meal plan by that. I try to buy all my groceries in weekly chunks because its hard to get to the store mid week when I’m working. If I don’t see enough items on sale then I go to Trader Joe’s since their prices are relatively lower than other stores. Whenever possible I stop by an asian grocery store! It’s amazing because you can almost cut your bill in half just by shopping there. It also has much different food that I can’t get at a regular store. At our old place we would make a point of stopping by a small asian produce store. It would save a decent amount, but now it’s just too far away. I guess the suburb we live in now just doesn’t have much of an asian population. We also leave our shopping till the weekend. Trying to do that midweek just doesn’t give us a chance to relax that night. We are trying to buy in bulk than buying as needed. However, food wasting has been our weakness and we are working to resolve that. Sometimes we cook a little bit too much and once we cook a new meal, the old one is forgotten until we have to throw it out. We would have a problem with that too, but I have a hard time not just eating all of the food that night or the next day as leftovers. It does take some willpower to use up leftovers consistently. Usually I looked for a packed promo, it will save you not that much but at least you can save a little in buying that. And before going to the grocery I have my list with me. Every little bit counts when trying to save money on groceries. Since you need to shop week in and week out, the savings can really add up. I will greeze just about anything. It saves a lot of waste that way. For some reason I only think of freezing meat, but I should consider trying that with any food that I expect to go bad. I found that when I was living by myself and cooking for myself I would waste a lot of food. I would cook a meal, eat it and freeze the rest, but then I would get sick of eating the same thing for lunch and dinner the entire week. (Unfortunately I am a picky eater). However, now that I live with my partner, food hardly ever gets wasted (It helps that he’ll eat almost anything). Aside from the great tips mentioned in your post, I price match. This saves me time and gas, since I don’t have to go to more than one grocery store. I’ll scan all the weekly flyers and compare prices on items I buy on a regular basis. This may seem a bit burdensome, but I also keep a price book in which I write down the prices of certain items that I buy regularly. It’s in alphabetical order and categorized by store. In doing so, I’ve been able to recognize sale prices better and determine whether or not to stock up. It definitely is a lot tougher to prevent food waste when you’re single. It’s just too difficult to cook a small enough portion for 1 person with certain meals. Even though I’ll eat almost anything too, I do like some variety. I have considered creating a price list of common foods I buy too. That would be a good way to ensure prices are indeed lower. That way you wouldn’t give in to the tactics that grocery stores use of putting items on ‘sale’ when it sometimes isn’t much cheaper at all. Great tips! I’ve never heard of the potatoes and onions problem, but we have a little plastic onion keeper thing that keeps our onions “contained” I guess. Thanks for the post! Yes that container likely does prevent other nearby items from going bad quickly. With the way onions are in a mesh bag I had just figured that I shouldn’t keep it in a sealed container. One of the big things I make use of to try and reduce food waste and keep the grocery bill down is a chest freezer. It lets me stock up on a bunch of things and keep them for quite a while. Chest freezers don’t have periods of defrost and refreeze that the freezers on a fridge go through so I don’t have to worry about freezer burn. I didn’t realize that benefit of chest freezers. Now I’m really wanting one. It sure would be nice to be able to stock up even further and not be able to buy less each week. My biggest challenge is meal planning! It is only my boyfriend and I now, so we really need to get on top of this and get good at it before we start a family. And I’m just sitting here at 11pm thinking about what we are going to eat tomorrow since I’m getting home an hour later than usual. Should have planned for this! I would be hopeless in that area too but my fiance makes sure that we plan meals every week. I may have been reluctant at first, I’m finally giving in and seeing the real benefits. One of the things that has substantially cut our food bill is that we look for discount stickers on meat that is one or two days short of its expiry date – they’re usually 30%, sometimes higher. We bring that meat home,put it in a vacuum sealed bag (portioned for meals) and pop it in the freezer the same day. There are a couple of stores we have found that are unreliable in that some of the meat is too close to being ‘off’ for us to feel safe with it so I just don’t do it at those stores. We have been doing this now for a couple of years. Vacuum sealing portioned meat is another way we have cut our spending in that we actually do weigh each portion ahead of time – that way we sometimes get an extra serving from a piece of meat (which goes into the freezer on its own, properly labeled). Otherwise we would just have cooked the larger-than-needed portion and eaten more than we needed to. (saves our waist-line as well). I have sometimes been tempted by that deeply discounted meat, but I’ve just dealt with food poisoning too many times. I don’t trust myself to be able to tell whether the meat is still good. Plus there are times when I take meat out of the freezer but then something comes up and I don’t use it until the following day. So that would probably lead to the meat going bad. Don’t forget to look at the price per lb or per kg for your items. That’s how I know something is a good deal because I look at the price per unit and go for the better deal, which is not always the store-brand. I actually haven’t come across any products where the store brand wasn’t cheapest, but I guess it depends on the store. It is important to consider the volume price when comparing though. Personally I find that processed foods are cheaper, but I just don’t want to eat that crap anymore. I’m willing to pay a little more to eat healthier. Meal planning is something that my wife and myself always struggle with. We can never really agree on what is good for the whole family to eat for dinner. I am sure it ends up costing us more in the long run by not getting a weeks worth of food all at once. Sounds like you both just need to compromise a bit and each decide on specific meals each week. You may not agree on every meal, but if you give in to the other person then hopefully they cut you some slack on your choice.